Lotus Leaves and Nano Pants at the Too Small To See Opening at the Sciencenter. The Sciencenter in Ithaca, NY, is hiring a project manager and education project coordinator to work on NISE Net programs and exhibits, along with other projects. 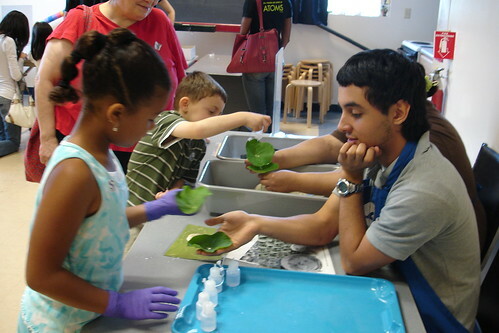 The position descriptions and application instructions are available on the Sciencenter website.